Today, displacing gasoline or diesel powered engines by electrically-powered motors is the goal of extensive renewable energy efforts. Before the fossil fuel powered machines, the steam engine powered the Industrial Revolution and dominated industry and transportation for 150 years with coal providing the primary fuel to heat the water in the boiler. A scaled down model train that uses steam power. 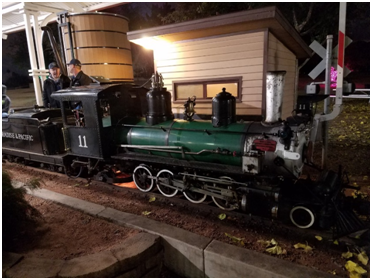 Live steam or steam under pressure created by boiling water is still used to operate some machinery and has a cult following in scale model trains. For safety purposes, the engineer monitors the pressure in the boiler. The pressure is measured by a mechanical gauge and controlled by a safety valve that relieves excessive pressure. Typical operating pressures are in the 200 to 250 psi range. In these trains, any digital sensing technique would be quite out of place. 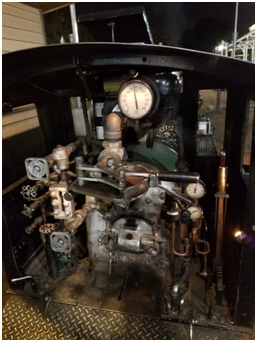 Several pressure measurements can be made for the engineer to safely control the steam engine.